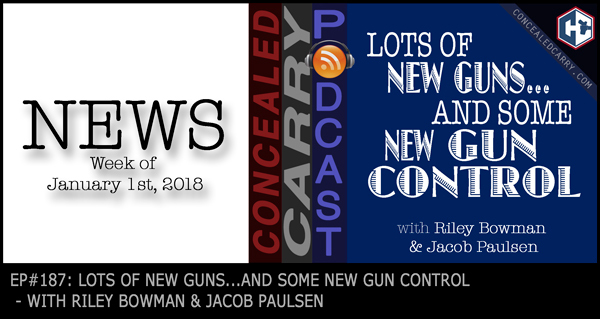 Riley and Jacob talk about the latest in industry news along with our popular JUSTIFIED defensive gun use stories. Today we feature news where a bunch of new guns have been announced, slated to soon hit the market. Also some further gun control is being looked at in Denver, Colorado. Plus the ammo control laws passed in California a little more than a year went into effect this week, and boy are gun owner's lives about to change in the The Golden State as it just became a lot more difficult to purchase ammunition. You're also not going to want to miss the shocking story of just how bad crime in the U.K. has become with muggings and assaults being committed at an incredible rate, many of them with…knives. Hit the ‘PLAY' button and listen in now! !